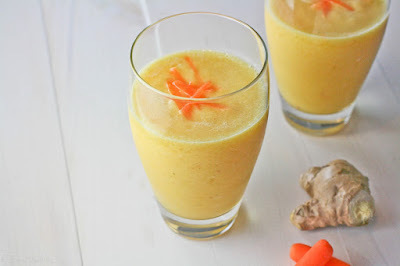 Ginger juice is derived from the roots of the ginger plant; it offers high nutritional value. People can either buy ginger juice or make it at home. The ginger plant comes from Asia and is used in most Asian foods. Ginger contains a slightly sweet and spicy taste and when juiced, ginger is ideal for use in sauces, marinades and dressings. If you are interested in making ginger juice, purchase fresh, raw ginger from the fresh vegetable section of your local supermarket. Wash the ginger roots. Ginger roots grow underground and may contain soil or other types of debris; therefore proper washing is recommended before using for any reason. Peel the ginger skin. Take a regular vegetable peeler and begin peeling the skin off. To make this step easier, leave the ginger roots in the refrigerator for several hours prior to peeling them. If peeling is difficult with a peeler, use a small paring knife to remove stubborn parts of the peel. Grate the ginger. 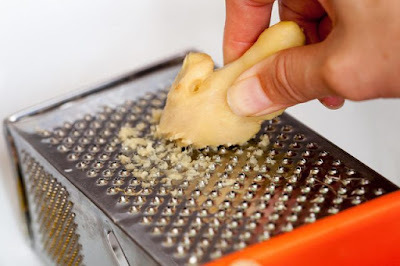 Take all of the peeled pieces of ginger and use a standard kitchen grater to grate all of it. 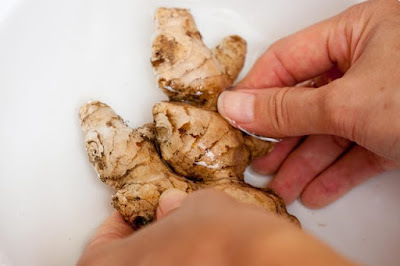 This step is required to make juicing the ginger easier. Grate it over a plate or a cheesecloth. Place the grated pieces in cheesecloth. 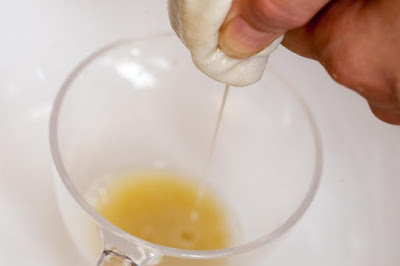 Take a small bowl or glass and begin squeezing the cheesecloth with as much force as possible. As you do this, the ginger juice will begin coming through the cheesecloth and into the bowl. 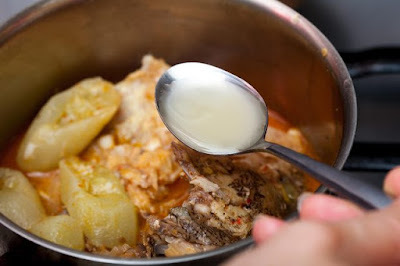 The cheesecloth also holds all of the chunks inside of it, ensuring that only the juice comes through. If you have trouble getting juice out, try using a garlic press to squeeze the plant gratings. Use the juice. Ginger juice often is added to recipes such as stir fries, baked goods or other dishes. It also is added to marinades and sauces. Ginger juice will add flavor to meals, but using too much of it may cause a very spicy flavor.